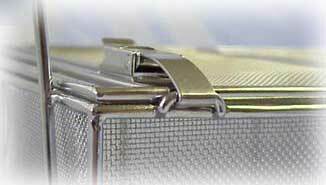 Precision Stainless Baskets - EnviroSense, Inc. Precision stainless baskets. A perfect basket for cleaning small parts in an ultrasonic unit. 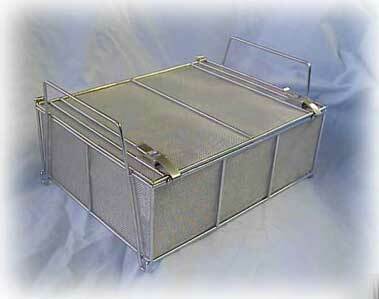 Baskets are constructed with 1/8" diameter rod with #4, #10 or #24 mesh. Baskets come with or without a latching lid. Each basket is buffed and electropolished to enhance corrosive resistance.